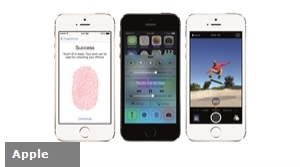 The most talked about feature of the iPhone 5s when it was unveiled was the inclusion of something called "Touch ID." This is the thumb scanner that was built into the home button as a way to improve security. While this has gained several headlines, there have been some problems with the technology. Some users have reported that the scanner is inconsistent, while others have noted that it does not work for their fingerprints at all. As with any new technology, there are going to be some headaches early on, but swift updates are key to making the system work. According to an article from Apple Insider, the company is planning on releasing a free software update that is designed to improve the fingerprint recognition process. There is speculation that this could also launch later this month when iOS 7.1 update is rumored to drop. Aside from making the scanner more accurate, the hope is that it will also be able to counteract the "fade" problem. This is intermittent recognition failures that start up several weeks after the initial configuration takes place. It is something that AuthenTec, the company behind the technology, which was acquired by Apple back in 2012, has been dealing with. This could be a significant security update and point to a strengthening of the technology for a future deployment in new iPads, iPods, iPhones and even computers. Security is something that every business needs to consider and those that rely on Mac integration need to be aware of this change. With the help of an IT consulting firm that specializes in Apple systems, your organization can take the right steps to stay up-to-date.